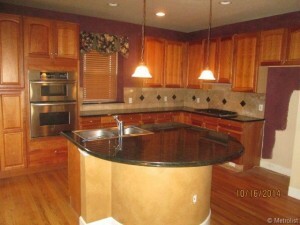 I added a new house cleaner to my list of house cleaners at http://denverhomesales.info/denver-home-cleaning/. She is willing to travel anywhere in the Denver metro region. Her rates sound reasonable. She is a sole proprietor, small business owner. Try her out. Create a custom search of active homes for sale in the real time Denver MLS IDX here: http://denverhomesales.info/propertysearch/ . 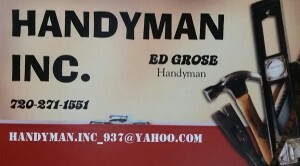 I added a handyman to my list of Denver handyman services at http://denverhomesales.info/denver-handyman/ . 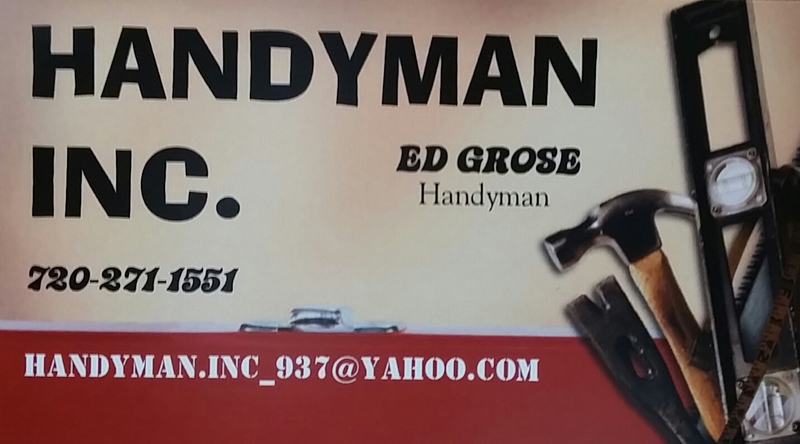 A client of mine who owns multiple rental rental properties uses Ed Grose for all her repairs. Create a custom search of active homes for sale in the real time Denver MLS here: http://denverhomesales.info/propertysearch/ . 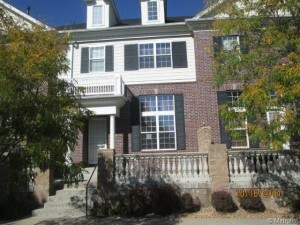 I just completed my first attempt to bid on a foreclosed Denver auction property on www.homesearch.com. We were not successful but learned a lot. 1. I was not happy that these properties only offer 1% to Buyer’s Agents. 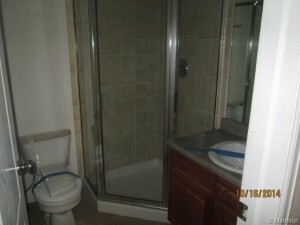 We valued this property between $295,000 and $305,000. The Denver auction property was offering a commission of approximately $3,000.00 which would be almost $6,000.00 less than a normal purchase. It did not mean less work, only less money. Many agents would either insist that their clients pick up some of the difference or would refuse to help them with the process. 2. Earnest money required was 3%, approximately $9,000 . Normally Earnest money is about 1%. This required any successful bid to put approximately $9.000 of their cash at risk. In order to bid on the Denver auction property you had to provide your credit card information for them to put a $2,500 hold on. Even though I created the bidding account for my client I had my client put in his own credit card information as this hold was too much for me to personally risk. 3. Earnest money was not refundable. In a normal purchase there are 3 valuable deadlines that if properly exercised by Buyer to terminate the purchase, they will receive their earnest money back. Without this protection a buyer would need full loan approval, an appraisal, and successful inspection before the bidding process begins in order to fully protect themselves from losing their earnest money if unable to complete the purchase. 4. We were unable to determine whether or not there would be unpaid liens on the Denver auction property that would have to be paid by the buyer. Specifica lly we were concerned that the HOA fees were not current. 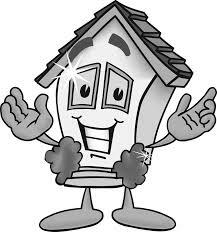 HOA companies will not divulge if HOA fees are current or how much the unpaid fees are if you are not the owner. Additionally we called the bank, Nationstar, and HomeSearch.com and they were not able to tell us how much the unpaid fees were. The bank would only say that in Colorado that the new buyer would be responsible for any unpaid fees from before Nationstar foreclosed. The HOA said that the new buyer would be responsible for 6 months of fees maximum. We were asking the lender to order a status letter which would have cost the buyer up to $350. 5. How much would the Denver auction property appraise for? My partner and I valued the home between $295,000 and $305,000. You can see our valuation here. If my buyer was getting a loan for 95% of the purchase price, and he won the Denver auction property for $5,000 more than it appraised for, he would have to bring a cash down-payment of 5% + $5,000. Not only did my buyer have rely on my estimation of value but they had to decide how much cash they had to risk. 6. We learned in advance that you would be able to bid more than once, and you would see the current high bid. But there were still surprises in the bidding process. Bidding started in the $100’s but bidding the Denver auction property up was in forced increments of $7,500. We quickly ascertained that we needed to know what spot we wanted to be in the process so that we could land as close to our high bid as possible. For instance, bids were at $276,500, $284,000, $291,500, $299,000, $306,500… and their high bid was close to $300,000 then they needed to start bidding on the $284,000 mark to land on the $299,000 bid. And at the end of the bidding the increment changed to $2,500, but I do not know what triggers that change. 7. What is the buyer’s premium? It sounds like 5% extra cash the buyer has to bring to closing table. They would not be able to finance it unless the Denver auction property financed extremely high. 1. To minimally risk their earnest money a buyer would before bidding have to have full loan approval or cash, invest $300- $700 in an inspection, and have an appraisal done, if getting a loan, for around $450. And it would be good to have a title search done and to get an HOA status letter for up to $350. 2. This Denver auction property sold for $40,000 more than any of the comparable sales and for $30,000 more than what we think it would appraise for. 3. The Buyer overpaid by around $45,000 which would have to be cash if they are getting a loan. If they don’t have the cash they lose their $9,000 of earnest money. See the full home search.com listing here. See the full MLS listing here. See Denver area Bank and Government owned foreclosed homes for sale below. Below you will find a list of Denver plumbers that are highly recommended. Referrals are an essential element in my business, so you are doing me a huge favor by using these Denver plumbers and letting them know I sent you. Let me know if you know of someone who should be added to this list, or if you have a bad experience with someone on this list. You should look for reviews of Denver plumbers on Yelp and the Denver BBB (Better Business Bereaus). Denver plumbers specialize in installing and maintaining systems used for potable (drinking) water, sewage, and drainage in plumbing systems. Learn more about what Denver plumbers do on Wikipedia. You may also be looking for a Denver HVAC professional or a Denver sewer repair professional. Below you will find a list of Denver property managers that are highly recommended. Referrals are an essential element in my business, so you are doing me a huge favor by using these Denver property managers and letting them know I sent you. You should look for reviews of Denver property managers on Yelp and the Denver BBB (Better Business Bureaus). Denver property managers is the operation, control, and oversight of real estate as used in its most broad terms. Management indicates a need to be cared for, monitored and accountability given for its useful life and condition. Learn more about what Denver property managers do on Wikipedia. You may also be looking for a Denver handyman for assistance. 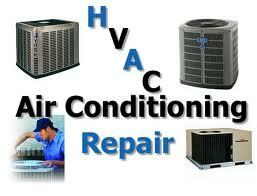 Below you will find a list of Denver HVAC service professionals that are highly recommended. 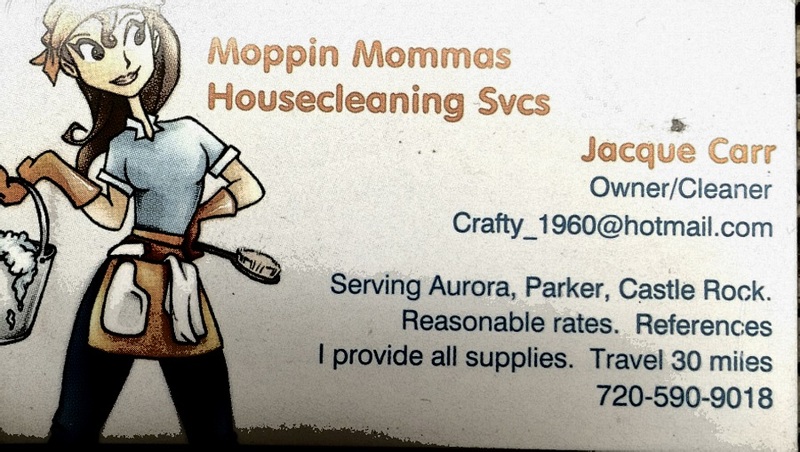 Referrals are an essential element in my business, so you are doing me a huge favor by using these Denver HVAC service professionals and letting them know I sent you. You should look for reviews of Denver HVAC professionals on Yelp and the BBB. Denver HVAC (heating, ventilation, and air conditioning) is the technology of indoor and vehicular environmental comfort. Learn more about what Denver HVAC professionals do on Wikipedia. 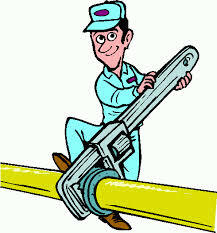 You may also be looking for Denver plumbers, Denver electricians, or a Denver handyman for assistance.